Now hitting the podcast feed of your choice, the 100th episode of the Ghostbusters Interdimensional Crossrip podcast! To mark the occasion, we're chatting with Ivan Reitman and Dan Aykroyd about the nature of comedy, the legacy of Ghostbusters, and a whole lot more. Join us on iTunes, Stitcher, Google Play or by listening via web here! The all-new fourth edition of the Ghostbusters Interdimensional Crossrip podcast has hit the interwebs and we're headed to the Great White North to speak with "the hermit of the Ghostbusters," Mr. Rick Moranis! In this edition Troy and Chris talk about the IDW Comics "Mass Hysteria" hardcover compilation, the character names being revealed for Ghostbusters (2016), and spend a half hour talking about Hollywood, creativity, and of course Ghostbusters with actor, musician and writer Rick Moranis. You can listen online/download the podcast here on GBHQ, or better yet - be like the cool kids and subscribe via iTunes so that you get to hear each podcast the moment it's posted online. Solicitations in Previews and a social media announcement today revealed the IDW Ghostbusters are about to meet up with their Saturday morning counterparts, The Real Ghostbusters for a four issue mini-series titled, "Ghostbusters Get Real". Written by Erik Burnham, with art by Dan Schoening and Luis Delgado, the series will re-team the same creatives from the popular IDW on-going series. The first issue will hit comic shops June 17th, and series writer Erik Burnham was kind enough to take time to discuss with Ghostbusters HQ. GBHQ: Were any seeds planted for this cross-over in Mass Hysteria or any of the other runs? If they haven’t already read ‘em (and let’s be honest, they should have) should readers go back and revisit some of the previous issues as a primer leading up to June? Burnham: Not directly; though we had considered the possibility in place of a TMNT crossover (if Nickelodeon had passed). That said, the Interspatial Teleportation Unit in the TMNT/GB crossover should take some pressure of the Ghostbusters (Real and otherwise) -- they have a direct way home. OR DO THEY? (He says with a smile). GBHQ: The creative team has been peppering in quite a few Real Ghostbusters visual in-jokes and references throughout your run at IDW, will any of those come into play as these worlds collide? Burnham: I did think of one way to tie those easter eggs in. I may not wind up with the page space to make it explicit; if it comes down to that, though, I'll share with everyone in the backmatter. GBHQ: How, if at all, did the success of the TMNT/Ghostbusters cross-over impact this four issue series? GBHQ: What are some of the challenges or pitfalls of cross-over stories, and how do you avoid some of those issues? Burnham: Crossovers have certain expected elements. Some are cliche (because they work so well they're practically a shorthand). Readers both do and don't want to see some of these cliches. I try to spin that stuff on its ear when I can. In this case, we had an easy way to get everyone together from the Real Ghostbusters cartoon itself: folks, go watch "Janine Melnitz, Ghostbuster" and you'll see some clues as to how this story comes to pass (we flesh it out from other angles on the page, so it won't totally spoil the comic!). GBHQ: Between the years with the on-going and these additional series, how have you, Dan and Luis developed a shorthand in your production process? Burnham: If someone has a different idea now, they'll often just DO it (they'll mention it to me if it requires writing tweaks!). We do have that trust. (Any shorthand may also be because the guys prefer shorter emails from me.) I used to see every version of every page. Now, I see layouts and then the final proof, nothing in between. Seriously, Dan & Luis are fantastic, and don't think I'm not aware how fortunate I am to have worked with - and still be working with - these two. They work harder to make sure every page is better than the last. GBHQ: TMNT, Ghostbusters, X-Files, Simpsons, Galaxy Quest, and now The Real Ghostbusters, you’re getting to explore some of the most beloved characters and franchises in pop culture. What is it that you love the most about getting to play in all these sandboxes? Burnham: The fact that they keep letting me! Seriously, this is what I've wanted to do my ENTIRE life, and to enjoy every project as much as I have (from Venkman to Homer to Wolverine). I am seriously pinching myself over this, and lucky in my collaborators. GBHQ: Thanks for your time, can’t wait to read ‘em! GBHQ's thanks to Erik Burnham for taking time out of his busy schedule to answer our questions. Burnham can be seen later this month at the Emerald City Comic-Con March 27-29. Now well-known as a go-to aerial photographer throughout Hollywood, GBHQ interviewed Dylan Gross back in 2000 about his time spent as an assistant cameraman/loader on Ghostbusters II. Here is the interview as it was presented back in 2000 with the original introduction as well. What is a "camera loader?" What does "1st assistant camera" mean? All of these are terms you would hear on a movie set. After working on 45+ films, including Species, George of the Jungle, Bad Boys, and many others, Dylan Gross has had an extensive career and is still going strong today, working in aerial filming and commercial directing. However, one job stands out on his resume. It was actually the second film he ever worked on, he was 19 at the time, the film was Ghostbusters 2. Q: How did you get the job of working on Ghostbusters II? A: Maybe predictably, my father. Ghostbusters 2 was one of the first films that I worked on full-time, and I was 19 when I started. My father was the show's Executive Producer (Michael C. Gross), and my summer jobs for many years were on film sets. I was the (there is one on every set) producer's son who someone was told to give a job... in this case, it was a little more serious, a s I was part of the shooting crew. It was my first "real position" - and with the Camera Crew, which was generally considered the hardest part of the crew to become part of (of the below-the-line, working crew, that is). In fact, even with my father as one of the two Exec. Producers for the show, he was told at first that due to the tightness of the camera union (at the time, IATSE local 659), even he couldn't get me a job with them. For a couple of weeks during pre-production I helped out some of the physical special effects guys (the makers of the slime!). Then things worked out with the camera crew by the time that principal photography began. It was my first show in the union. My father would say that I didn't have to keep the union card, at least I had it. And my direct boss, Cameraman Michael Chapman, joked that it was a complete waste of time to get in the union... he was probably right, but here I am, doing camera work almost a dozen years later (my father moved out of the film business around six years ago). Q: Explain your job to our viewers if you would please. A: At the time, my job was pretty lowly. A couple of factors were there - first, there was quite a bit of responsibility in even the lowest camera department job, typically loading and unloading the film into the camera magazines. On any movie, the handling of the film takes a special importance - rightfully so - all of the days work is trusted at one moment to the person handling it. Second, the guys in the camera department wanted to send a message that I was very lucky to have gotten into the camera department so easily. Most, if not all of them, paid many more dues before they were allowed membership. So, for the first week, I wasn't even allowed on the set. They kept me on the camera truck, where all of the equipment was, building wooden shelves for the camera cases. I was finally allowed to hook up the video monitors that show what the film cameras were shooting (video assist). On today's sets, that is a separate job from the camera department, but being relatively new, the monitors and equipment were left for the camera crew to deal with. Most of my days were spent wiping Ghostbusters Slime off of piles of tangled fifty foot video cables. As far as my future camera work, eventually I got my hands on the film (film loader), and then the slates (second assistant camera) on the TV show Quantum Leap, as well as features like Kindergarten Cop, Heart and Souls, Point of No Return, and The River Wild. I was a focus puller (1st assistant camera) for a few years, and then ended up, through a friend, getting into aerial (helicopter) filming. Almost by mistake, that became my specialty as, at first, a technician, and then as a Cameraman myself, shooting. This has been my mainstay for several years, and has led to the beginning of a Commercial Directing career (I finished my last of three directing spots recently). Q: How much time was allowed for filming in N.Y. and L.A.? A: Honestly, I don't recall. I think that the N.Y. unit (which shot first, doing exteriors before the L.A. sound stage work) shot for maybe a couple of weeks. In L.A. I think that we went for around 60 days, or twelve weeks of five day shooting weeks. As I recall, for a large show, the film was relatively on schedule. Most of my energy was spent perfecting the removal of slime from cables, so the finer points of the schedule were lost on me. There were also some re-shoots and additional shots made after the principal photography was wrapped, I belive about a week's worth of work. Q: In your opinion, what was the hardest scene to film? A: When N.Y. starts to be enveloped in slime, the related scenes were a mess. There were many sets that became covered in the sticky mess, and keeping the cameras clean and safe was mostly janitorial work for the bottom end of the crew. The slime was everywhere, stuck to cases, cables, shoes - everything. Everywhere out of the shooting scene were hoses to pipe slime, things to trip over - it was a tiring environment with very long hours. Q: Who was the best to work with? A: My dad knew Bill Murray casually for many years, and he had seen me as a very young kid and breifly on a few occasions, growing over the years. He joked with me quite a bit and made it easier to be around the set. Somehow it evolved where I would have cigarettes for him with some of my camera stuff (in a pouch on a belt), so I would get these summons to the center of the set for a cigarette, often at times where the set was closed and just the actors and the director (Ivan Reitman) were rehearsing. Overall though, a film set is a bit like the circus, and there are amazing characters thoughout the whole crew. It is quite an environment to grow up in, and many people made it a memorable place to be. Q: Were you a fan of the original film before working on the sequel? A: I was in school full time on the first movie, which came out in the summer after the ninth grade for me. For a fourteen year old, it is a pretty huge movie. I think I got as sick of the Ghostbusters song that went to the top of the charts as anyone else did, but yeah, I really liked the original a lot. Q: What are some of your favorite stories from working on the film? A: Some of the smaller things are definitely lost to my memory... Like any good union member, I did spend a lot of time playing cards on set. There was a one-handed game that the sound guys played, that only involved one poker hand and could be played pretty discreetly during long setups. The sound crew was a three person crew - mixer, boom man, and cable man. The cable man was always running the games, and was incredibly good at starting rumors as a past time. He would plant one piece on information with one crew guy, and then another with someone else. He would be the catalist to some amazing rumors that I couldn't believe he could start. The film shot through January in L.A. and he started the rumor that the Superbowl has changed where it was going to be held that year. He had members of the crew (a lot of sports bettors) changing their wagers based on this rumor that he somehow started panic among the serious sports fans. Somehow, from spending many hours a day crawling under and behind things with those video cables, I became known as the Monitor Lizard. The office got word of this and thought it would be funny to credit me as that in the film. Because of the way things worked on a union film then, the legal department needed it cleared with my union to call me that. Amazingly, the office still made the request to my union, who found no humor in it and insisted that I take a normal credit. One of the greatest times that I had in running Ghostbusters HQ was around the time that Extreme Ghostbusters was first airing on TV. While the series didn't have legs and never made it past one season, it was the first taste of new Ghostbusters material that us fans had in a long time. Several of the good folks involved in Extreme Ghostbusters were kind enough to let this shlubby little kid interview them for the site. Steve Perry, whom I had admired from his work on Star Wars: Shadows of the Empire, stepped into Extreme Ghostbusters to write one of the best episodes: Ghost-Apocolyptic Future. Here is an interview with Steve posted as it was in July of 1997. Troy - Mr. Perry, could you tell us a little about the episode which you wrote for the Extreme Ghostbusters series? Steve - The working title for my episode was called "Ghost-Apocalyptic Future," and is based on Marty Isenberg's and Bob Skir's outline. Briefly, the story concerns a trans-temporal ghost who can shift to our time from a future where ghosts rule the cities. As part of the plot, Kylie winds up in that future, in exchange for a ghostbuster from that time. Troy - Wow! Sounds like a very deep episode! Which Extreme Ghostbusters character (if any) did you find yourself growing attached to while writing the episode? Steve - Probably not, the show is bought up for this season and I've got other book projects I need to do. I did enjoy working with my story editors Marty and Bob, though, and both of whom are great writers on their own. Troy - Many fans are eagerly awaiting the release of the new show, so that they can meet the new characters, could you tell us a little about the characters? Steve - I'd rather not say too much about the new guys (Roland, Eduardo, Garrett and Kylie). Better to let the viewers experience them for themselves. Basically, though, they are younger, hipper 90's characters who can be funny or serious, and who are great successors to the old gang. Egon is still there, a kind of uncle to the new guys; and Janine and Slimer are still around. Troy - You did an excellent job in giving depth to characters in Star Wars: Shadows of the Empire, for example Prince Xizor (the main villan of SOTE). When writing the XGB episode was there a character which you explore and build depth to in the same manner. Or, was there a character which you created that you had to bring life to? Steve - Pretty much I tried to do that with everybody. You can't really get into that level of complexity in a 22-minute animated show, there isn't that much room. The characters will grow over the arc of the series, and after a couple of shows, you'll have a pretty good idea of who they are and what they stand for. There are some fairly deep issues covered in some of the individual shows, however. One of Marty and Bob's early episodes deals with racism and religious intolerance, for instance, and they do an excellent job with those issues. Troy - Thank you much for giving Ghostbusters Headquarters a moment of your time, I'm sure you have a very busy schedule! Hope to hear from you again soon! Steve - You're welcome. I think fans will like the new series a bunch. Several of the good folks involved in Extreme Ghostbusters were kind enough to let this shlubby little kid interview them for the site. The most gracious was Shannon Muir, whom I'm still glad to call a friend to this day. Here is that interview as it originally was posted in August of 1997. Troy - Thanks for doing this interview with me, Shannon. First let's start by asking what exactly it was that you did on the EXTREME GHOSTBUSTERS (XGB) show. Shannon - You have no idea how big a question that is! I was a Production Supervisor. Production Supervisors have a lot of responsibilties. Basically a Production Supervisor is a conduit of information between different departments that brings things together to get an episode made. First, I worked with the Art Department -- who draw the backgrounds, props, and character reference -- to make sure the primary designs needed for a script are done in time for the storyboard handout. Then I worked with the directors, communicating with their storyboard artists and seeing that they got any additional needed models for both rough and clean-up (final) stages. After the storyboards are approved by the head producers, and their changes incorporated, final storyboards (SBs) and models are generated. This information is also given to what is called a timing department, where they use special sheets (exposure sheets, or x-sheets) to dictate how long each and every action in the show should take, since a SB generally shows only broad strokes of action. The color department also receives copies of the SB and models, and they use computers to color in the models to send overseas. For lack of a better phrase, it a color-by-number process -- color models are also notated with numerical references for each color, for which overseas has a matching, previously-agreed-on color palette. All this stuff is packed up and sent to the overseas studios by the Production Suervisors. At this stage, the overseas studios start FAXing questions about elements that are not clear to them. I would then go to whatever department the questions pertained to, get the answers, and FAX them back overseas. Sometimes I even spoke by phone with the overseas coordinators. The last phase is post-production. The film comes back and is transferred to a digital (computer) medium for editing. Scenes are then taken out, and sometimes even rearranged! When time permits, if overseas has made mistakes on coloring or drawing scenes, a studio asks to have them re-done (otherwise you find ways to edit around them). A Production Supervisor is responsible for logging all the needed retakes, communicating that information to overseas, and then logging when the retakes are returned to see whether or not they can be used in a show. As you can see, this is a LOT of work. Episodes would originally get assigned to certain Production Supervisors based on who was directing the episode. However, we came to find over time that some people became more burdened than others, so we ended up swapping responsibilities for some episodes. Also, several of the Production Supervisors got moved to other shows (such as MEN IN BLACK and CHANNEL UMPTEE-3, premeiring October 11th on Kids WB!). That's why so may episodes list a "team effort" for Production Supervisors. Troy - In the episode "Killjoys" Egon uses an odd looking proton pack with a set of lights and what look like satillietes on the top. What was this piece of equipment? Shannon - I've been waiting for this question! It's the deluxe equipment Egon is marketed with. I just saw the toys in a store the other day for the first time, and what it got called on the toy is not the same name it had in the early prototypes we sent to Trendmasters (why I don't know). Unfortunately, I have gotten the name of this piece of equipment and the deluxe piece of Eduardo's equipment confused. All I can say is... check the toy shelves. It's original name was "Field Projector," for what it's worth. Exactly what the added equipment is supposed to do, I'm not clear on. I definitely don't think "Killjoys" clearly shows what it does. The director added the use of this equipment to the episode, it wasn't originally scripted. These weapons were designed early on because I think they were considering moving away from using the proton guns in favor of different equipment on the show -- but what is Ghostbusting without proton guns? Just my opinion. If I remember right, the "portable containment unit" Roland is marketed with was written into one of the later episodes of the series... but under its original name of "Ghost Vacuum." Actually, I just noticed that he's leaning on it in the group shot of the opening credits! Shannon - That's the 2-part season finale. That was scheduled for mid-November, last I heard. Troy - Anything that you can give away about this special episode? Shannon - You'll find out what Peter, Ray, and Winston have been up to. And you'll definitely get to compare both crews and see what you think. They'll have to team up against something REALLY BIG. Not sure what else I can tell you without ruining the plot... and if I do that you might not watch! Troy - Did you feel that there was a great deal of expectation from fans of the Real Ghostbusters cartoon show putting a pressure on you during production? Shannon - Within the studio itself, no. Other than a reference point when we were working on the 2-part pilot and the 2-part season ender, we didn't really spend much time focusing on REAL GHOSTBUSTERS as a crew. Personally, however, I was aware of all the fans on the 'Net and knew what they hoped for. A lot of that was behind my energy to make the best show possible. I'm always big on continuity and a stickler on details in general, but I think I was even moreso with this series... at least in those areas within my power. Troy - As a fan of animation, were you impressed with the results of the show? Shannon - Overall, yes. There are some episodes out of the 10 that have aired so far (when I'm answering this) that are not as good as others... there'll always be some that are that way in any series, I think. I'm particularly proud of the "Darkness at Noon" 2-part pilot and "The Unseen." Troy - Thanks for this brief interview Shannon, we look forward to hearing from you in the future! Shannon - You're definitely welcome. The last thing I'm going to do before I close is give a rundown on the voice actors, because I know people have been curious. Maurice LaMarche is back as Egon (who, in my honest opinion, is irreplacable). Interestingly enough Janine is not voiced by either actress who played her in the REAL GHOSTBUSTERS -- the talented Pat Musick takes up where first Cree Summer and then Kath Soucie left off, I think perhaps because they wanted to give Janine a slightly more "mature" sound and they felt Pat could provide that. Garrett is brought to life by STEP BY STEP's Jason Marsden, and Roland by IN THE HOUSE's Alfonso Ribiero. Kylie is Tara Charendoff, Eduardo is Rino Romano, and Slimer is currently voiced by the incredibly talented Billy West (who also provides the voice of recurring character Mayor McShane). I got to see these folks in action at an episode recording one night. The level of professionalism and talent of the cast is truly exceptional, and I think they brought a lot to their characters. 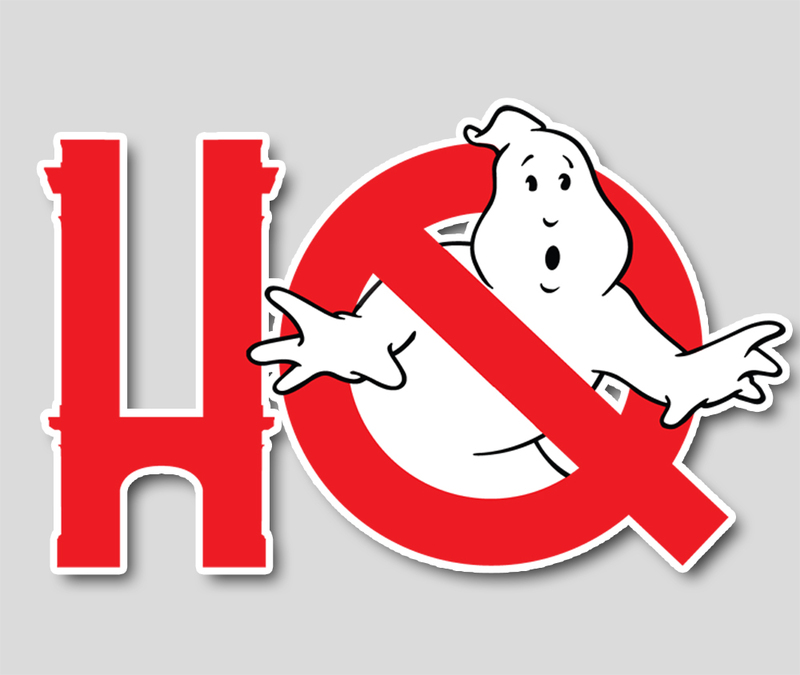 Get Ready for the Ultimate Ghostbusters Fan Fest in 2019! Crossrip Episode #309 - Talking with the Playmobil Creative Team! 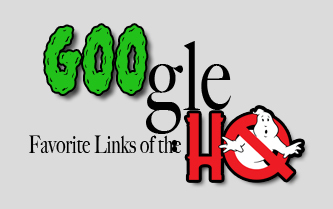 Crossrip Episode #308 - "Lost Scenes Found"
Get Ready for GHOSTBUSTERS DAY on June 8th! Original Ghostbusters Films Coming to UHD! But What Does That Mean? Ghostbusters Headquarters is a sister-site of Still Playing with Toys written and maintained by Troy Benjamin. For more information, visit us at SPT! TROY BENJAMIN is an author, writer, producer, part-time radio and on-camera host, sometimes dabbles in theatrical film marketing, and probably most noticeably an executive (but not a weirdo) nerd with an encyclopedic knowledge of the geek variety. Visit Troy's Still Playing with Toys for his portfolio, blog, and favorite waffle combinations.